Head towards Sweden with this superb collection of Nordic Winter bed linen, in ice-blue percale with black embroidery, it will add a touch of freshness and modernity to your room! You will find everything you need for your bedding: Pillowcase, bolster cover, duvet cover, fitted sheet and sheet. 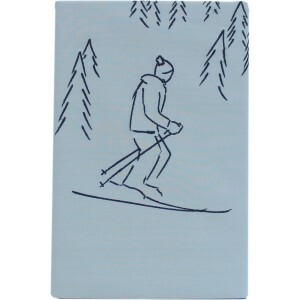 Dress up your bed with these beautiful pillowcases made with double stitching and on which are sketched skiers who will guide you to a comfortable night!